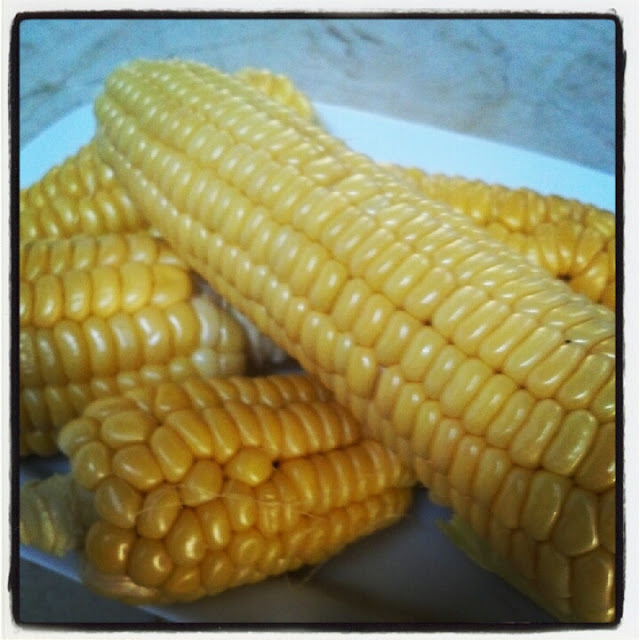 One of the best flavors of summer is fresh sweet corn. We're growing sweet corn, and we just ate the first of it - delicious! 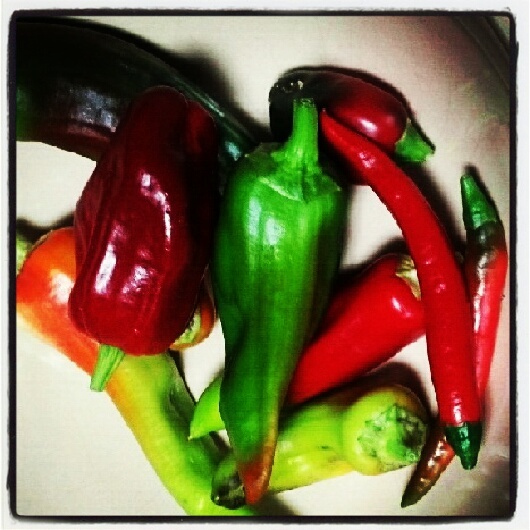 We've also really been enjoying our hot pepper crop this summer. We've got a great variety, both colorful and tasty. Melt butter in a saucepan over low heat; stir in flour. Stir and cook for about 2 minutes. Do not brown. Gradually stir in milk and continue cooking over low heat stirring constantly, until sauce begins to thicken. Season with salt and pepper, to taste. Add a small amount of the sauce to the beaten egg, stirring briskly. Stir egg mixture back into the sauce in saucepan. Add corn, peppers, and sugar to the sauce mixture. Pour mixture into a 1 1/2-quart casserole. Cover with buttered bread crumbs and sprinkle with Parmesan. Bake at 400° until hot and bubbly and bread crumbs are browned. Serves 6. This is a fantastic dish. I love corn (could eat it every single day) and I love peppers (ditto). 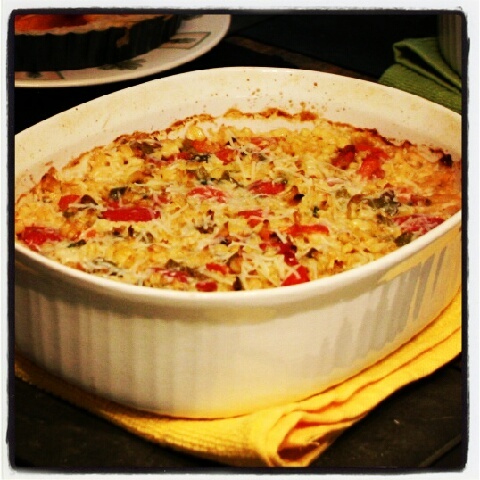 And this casserole brings those flavors together in a wonderful, creamy, spicy combination that is out of this world. Give it a whirl! Corn and peppers - there's nothing not to like there! Homegrown sweet corn is great, I wish I had the room to grow it here. I wish we had the room to grow more of it! We only grow about 64 stalks... hopefully about that much corn. I'd love to have about twice the space (and three times the time) I've got now for my garden. Wow, what a great recipe! I'm going to have to try this for sure! Thanks for joining in and sharing! Give it a whirl sometime Doctor. You give it a whirl sonny. Excellent recipe for this time of year it covers both the abundance of corn and peppers. I am pinning it. Thanks for sharing it on foodie friday. What a great casserole! Love the mixture of colours and flavours! Found this from Foodie Friends Friday! This looks great and I LOVE that you grow your own veggies!! Being that I love sweet corn and almost anything spicy, I have chosen this as my host favorite this week! Visit me at www.familyfoodfinds.com to see your shout-out Friday 8/10!